VR 360 video tours were a great success at ConExpo in Vegas! 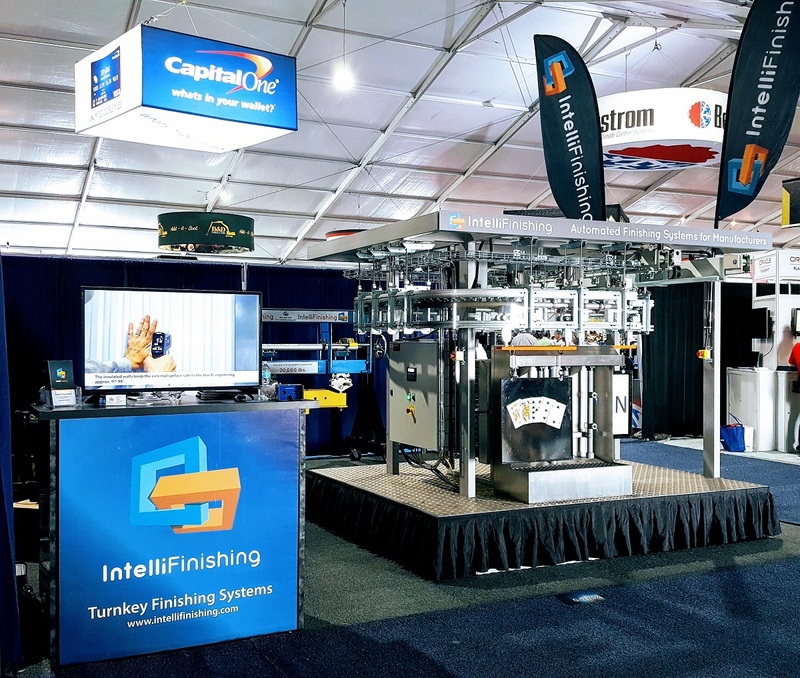 If you are interested in a virtual tour of our Complete Automated Finishing System for Industrial Manufacturers, it’s easier than ever before with no travel required. Visit http://www.intellifinishing.com/contact.html to request a pair of VR glasses that contain a code to scan with your own phone. You can watch and share the complete tour of our latest Powder Coating System project with your company and colleagues! If you are looking for a powder coating system or liquid paint system, you’ll want to see our state-of-the-art friction-driven conveyor technology in action.